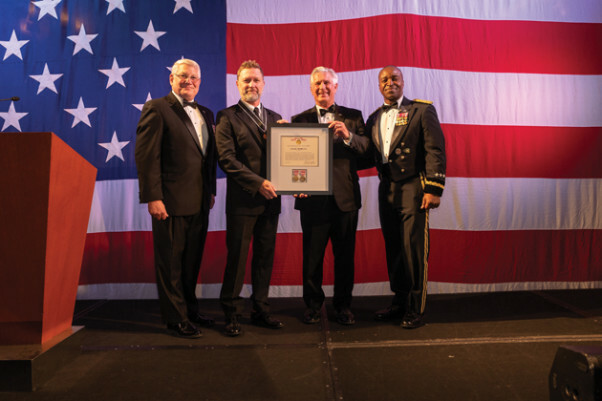 Gen. (Retired) Carter Ham, President AUSA, Country Singer Craig Morgan, Col. (retired) Pete Seitz and Lt. Gen. Bruce Crawford, Army Chief Information Officer during the presentation of the US Army Outstanding Service Medal. Huntington Beach, Calif. — Country singer and U.S. Army veteran Craig Morgan received one of Army’s highest civilian honors during a ceremony at the Army Ball held at the Hyatt Regency Huntington Beach on June 23. Lt. Gen. Bruce Crawford, Army Chief Information Officer, Gen. (Retired) Carter Ham, President AUSA, and Col. (retired) Pete Seitz presented Morgan with the U.S. Army Outstanding Civilian Service Medal, during the event hosted by the Greater Los Angeles Chapter of the Association of the United States Army. 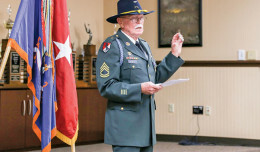 The award was to recognize Morgan’s “significant dedication to supporting not just Soldiers, but all military serving their country – often in harm’s way,” according to a news release. The medal is one of the highest awards the Army can bestow on a civilian. Morgan has completed 10 USO tours, entertaining troops in Iraq, Afghanistan, Kuwait and Korea among other locations. 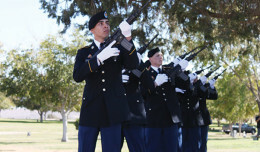 Morgan served in the U.S. Army and U.S. Army Reserve for 18 years.